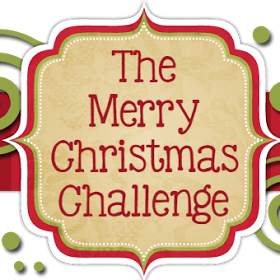 It's time for a new challenge over at The Merry Christmas Challenge and as always it's Anything Goes, with an optional theme this week of 'bells'. For my card I used this stamp from Power Poppy called Rustic Rejoicing. I love these pinecones with the bells dangling round them. I colored the image with my copics and then to give it a little more pizzazz I did paper piercing around all of the edges. I really like the final look it gave! Make sure and head on over to The Merry Christmas Challenge blog to see what the rest of the DT created and then play along with us!